This is the perfect way to get all your Jagua/Henna tattoos accessories in one value priced package. Our combo kit contains 2 plastic applicator bottle, 2 needle base/cap, and 10 applicator needles (one of each size). perfect for occasional business and temporary jagua tattoo enthusiasts. The 2 Bottles Basic Jagua Ink Tattoo Gel Combo Kit is a perfect way to get all your jagua and henna tattoo accessories in one place. With this kit, you get all you need to get going with creating beautiful and stunning temporary tattoos without right from the comfort of your home. The kit is easy to use and comes with all the items you need to get going with your tattoos at home. The content of the kit include two plastic applicator bottles, two needle base, and ten applicator needles. Whether you are a temporary jagua tattoo enthusiast, or you need the perfect solution for occasional business, 2 Bottles Basic Jagua Ink Tattoo Gel Combo Kit is the right package for you. 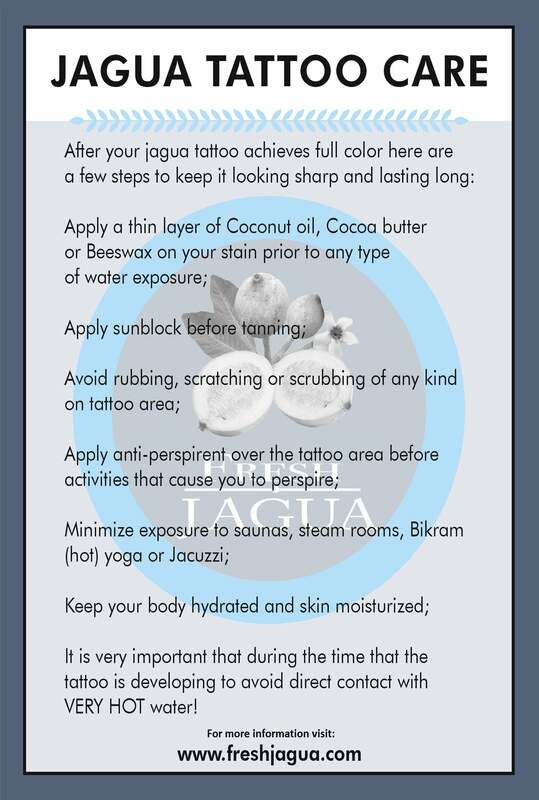 Jagua the fruit has been in use has been in use for centuries by the natives of South and Central America. Other than its medicinal properties, the fruit is also used by the native communities as a skin dye due to its natural blue and black colors. In today’s body art world, the fruit is extensively used in the manufacture of tattoos inks and gels. 2 Bottles Basic Jagua Ink Tattoo Gel Combo Kit makes it possible for you to use the gel in the most suitable way.